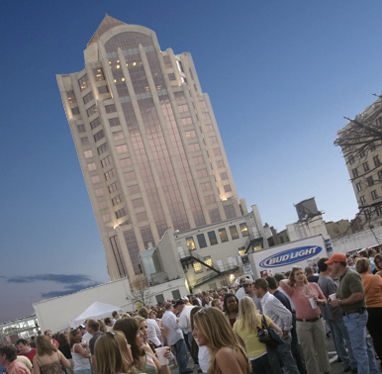 First Friday’s at Five Festivities will kick off the 2008 season at the Rail Side Amphitheatre located on Salem Avenue, directly across the street from the bus station in Downtown Roanoke. The party starts at 5:30 and runs until 8:30. Admission is only $5.00 and drink tickets are on sale for $3 a piece (5 beer maximum per individual per event). Proceeds from the events benefit local charities! If you’re in the mood for some good music, fun, networking or want to support one of your local charities, please come out to join us this year!